Prevent Falls with Total Safety Consulting! In 2017, 38% of construction deaths were due to falls. Those deaths were preventable! Our site safety professionals can assist with accident prevention on active jobsites! TSC will participate in the 6th Annual OSHA National Safety Stand Down Week, May 6th-9th, 2019. We plan to host toolbox talks on active sites, focusing on fall prevention and safe practices. Call us to schedule your toolbox talk today! 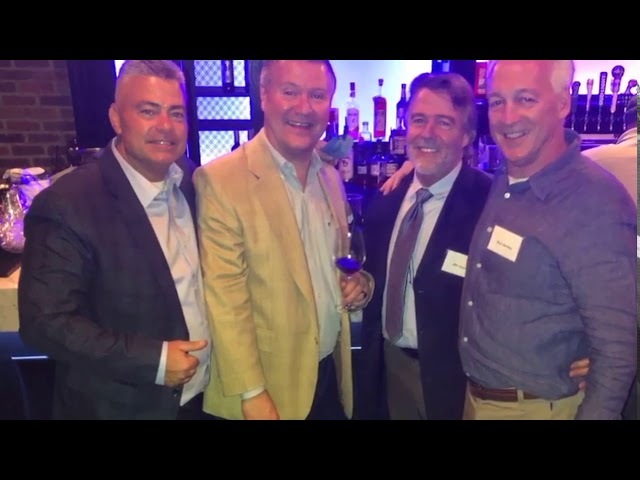 Fun times were had by all at the annual company party! We're thankful for Jim and Liz Bifulco for starting such a great business to work for! Are You a New NYC DOB Permit Holder? TSC Wishes You A Happy Holiday! From all of us at Total Safety Consulting, your turnkey construction safety solutions provider, we wish you a safe and happy holiday season! Construction during the winter means heaters all over the job site, it can also mean a fire hazard. Our fire safety managers are trained to be the first line of response in case of an emergency. 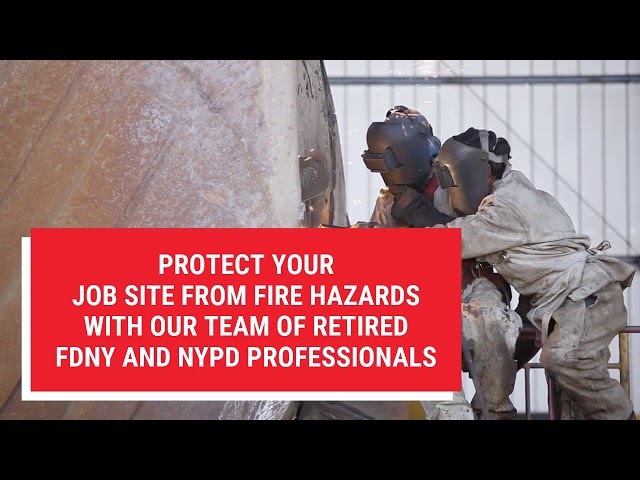 Protect your job site from fire hazards with our team of retired FDNY and NYPD professionals. At TSCFD we are not your average fire safety managers, we are the elite! 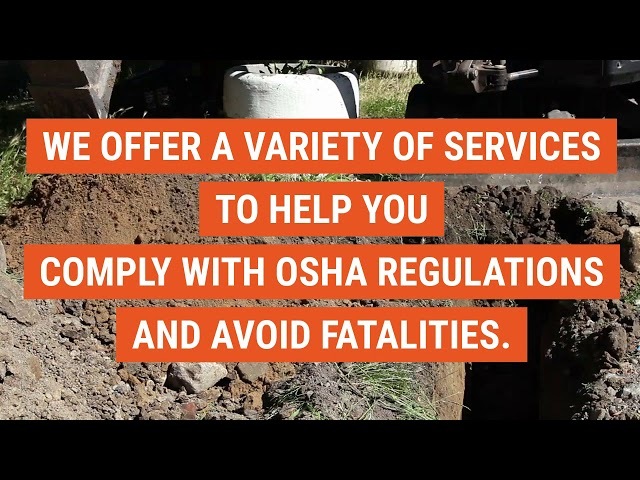 With the increase in enforcement for trenching activities, compliance is important. 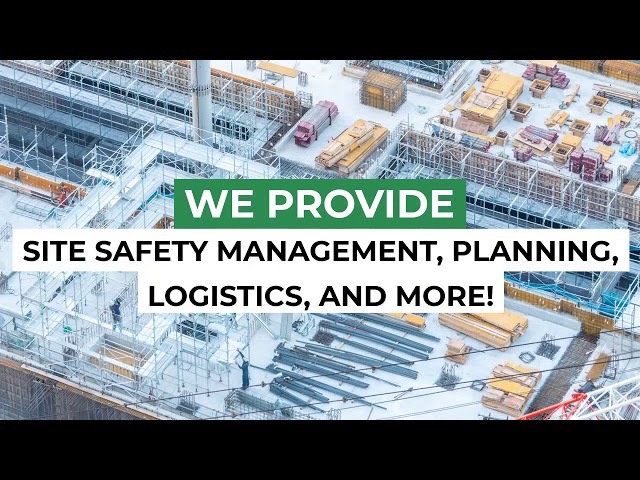 We offer a variety of services to help you comply with OSHA regulations and avoid fatalities. Contact us today! POURING CONCRETE SOON? WILL THE JOB HAVE 2,000+ CUBIC YARDS PLACED? 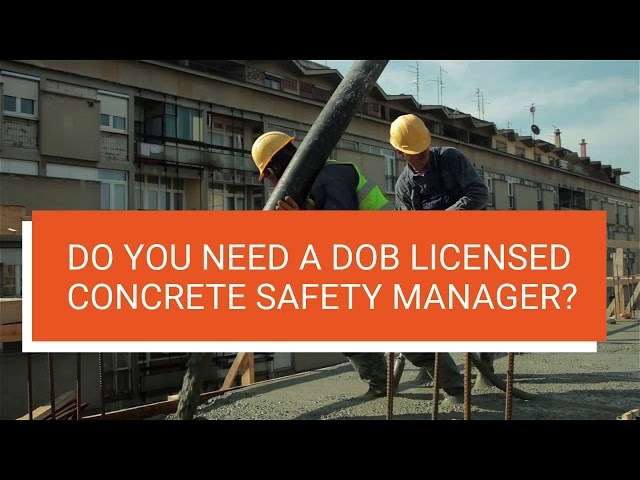 DO YOU NEED A DOB LICENSED CONCRETE SAFETY MANAGER? TSC HAS CONCRETE SAFETY MANAGERS FOR ALL YOUR JOBS! 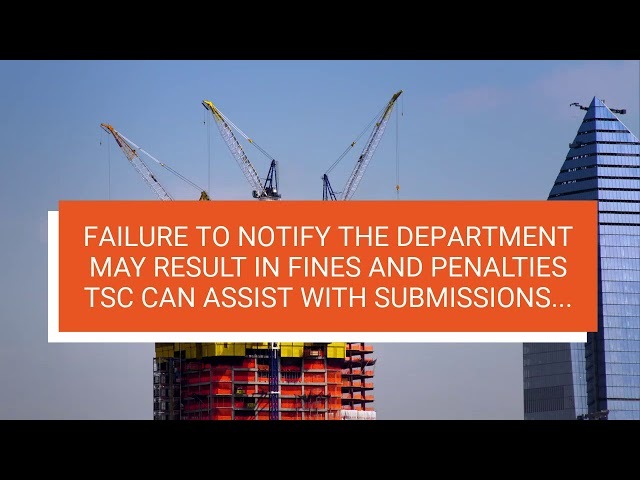 June 1 was the deadline for crane equipment users to begin submitting notification forms to the NYC Department of Buildings. Failure to notify the Department may result in penalties or fines. TSC, Total Safety Consulting can assist with submissions. Audits, proper equipment, and site safety personnel can help keep your job sites safe and in compliance with DOB rules and regulations. TSC has construction site fire safety managers to ensure jobs are sfae and built smmothly. We offer retired FDNY and NYPD personnel, providing greater peace of mind for our contractors. 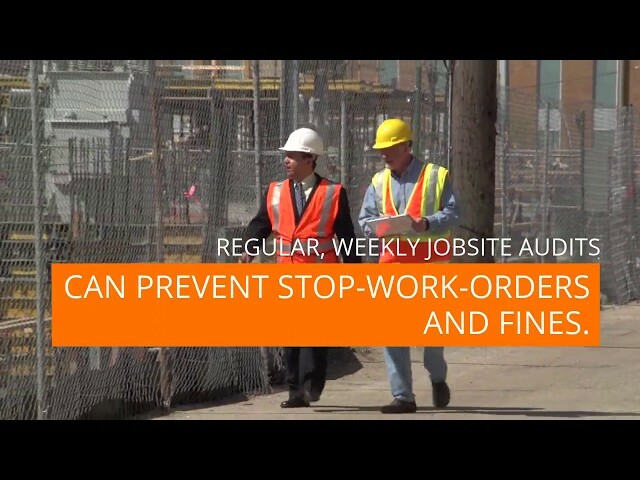 Regular, weekly jobsite audits can prevent stop-work orders and fines. TSC designs detailed site safety plans and provides the logistics you need to break ground. 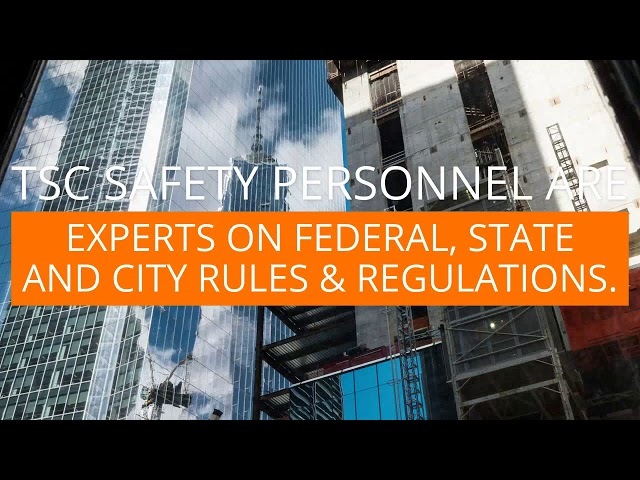 TSC safety personnel are experts on federal, state and city rules and regulations. TSC offers builders onsite TSC training academy and safety supplies unlimited deals! Slips, Trips, Falls? To further your goal of an injury free jobsite, TSC Med Tech will assess and treat most onsite injuries and illnesses and initiate a rapid return to work plan for the employee. For more information contact our Client Services Department at 201.437.5150 or visit us online at totalsafety.org.